Lead changes: 9 among 7 drivers Lap Leaders: Power, Will 1 - 19, Bourdais, Sebastien 20, Newgarden, Josef 21, Rossi, Alexander 22 - 23, Kaiser, Kyle 24 - 25, Wickens, Robert 26 - 40, Power, Will 41 - 42, Rahal, Graham 43 - 45, Wickens, Robert 46 - 50, Power, Will 51 - 85. Verizon IndyCar Series point standings: Newgarden 178, Rossi 176, Bourdais 152, Dixon 147, Hinchcliffe 144, Rahal 142, Power 135, Wickens 133, Hunter-Reay 125, Andretti 105. 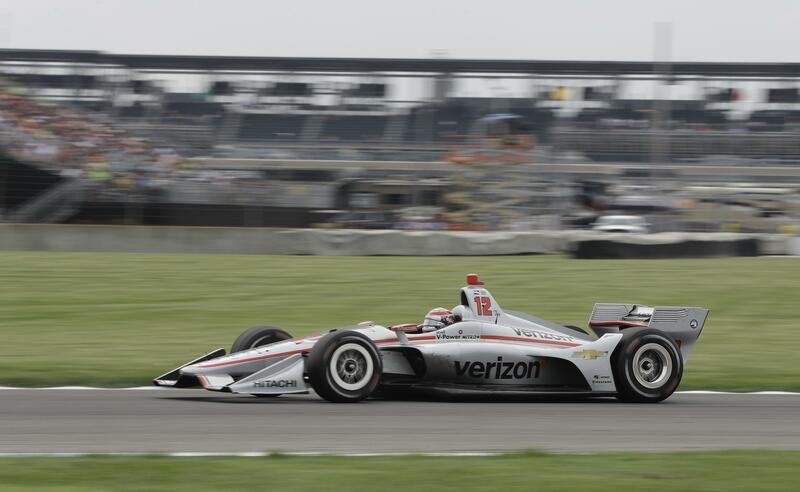 INDIANAPOLIS – Will Power’s timing was impeccable Saturday. He picked the perfect strategy with his red tires. He pressed the push-to-pass button at precisely the right moment. He gave Roger Penske his 200th series win at Penske’s place – Indianapolis. Power has won three of the last four road-course events at Indy – all from the pole. Published: May 12, 2018, 3:20 p.m. Updated: May 12, 2018, 4:29 p.m.